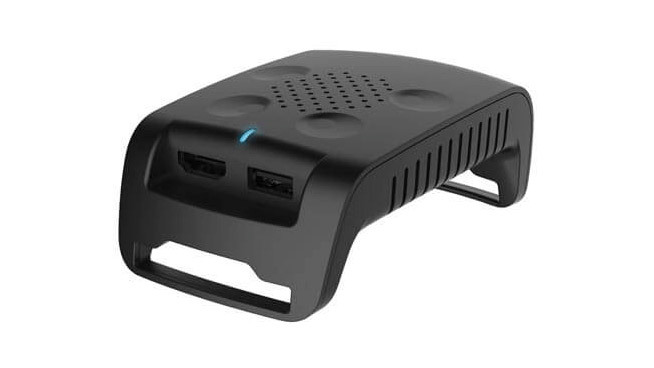 HTC plans to offer a wireless upgrade accessory for the Vive created by TPCAST. Launching in early 2017 with pre-orders starting Friday, HTC claims the device will eliminate the direct connection to the PC without any noticeable difference in latency or gameplay. Reported first by UploadVR, the battery-powered “tether-less VR upgrade kit” is being made by TPCAST, a company which HTC bought into as part of its ‘Vive X‘ investment program. The device is listed alongside other official Vive accessories on the Chinese HTC Vive website. The TPCAST wireless Vive upgrade kit mounts to the existing Vive headstrap with a pocket in the back which holds a small battery that powers the headset and a top transmission module which communicates with the host computer to send tracking data and receive the resulting image; it isn’t clear yet if the device will be able to transmit the full 90 FPS framerate that the Vive natively runs at, or if the headset would operate at a lower frequency to fit into the available bandwidth. Wireless video transmission technology has been around for a long time, but major VR companies like Oculus and HTC Vive had consistently said that existing technologies were not up to the task of delivering low enough latency and high enough quality for use in high-end virtual reality headsets. With that in mind, HTC’s endorsement of TPCAST’s solution is a big deal, one which could foreshadow future Vive headsets with the tech built right in. Valve, HTC’s close collaborator on the Vive, also recently announced they had invested in Nietro, a company building wireless VR video transmission technology, though that company has yet to announce any consumer ready products. Pre-orders of the TPCAST wireless Vive upgrade kit start via the HTC Vive Chinese site on Friday, 11/11 at 7AM PT for 1,499 RMB (~$220 USD) and can ship internationally, says UploadVR; the accessory is not yet listed or sold by HTC’s Vive operation in the US. The release date for the TPCAST device is said to start in Q1 2017. 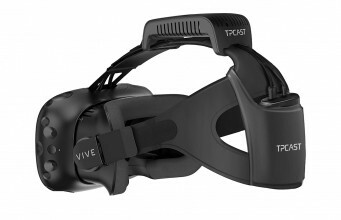 On the minds of many is surely whether or not the TPCAST solution can be used with the Oculus Rift or other PC-based VR headsets; right now the answer isn’t clear but we’ve reached out to HTC for comment. Last month Oculus demonstrated a different approach to tether-free VR; instead of transmitting information wirelessly to and from a host PC, the headset did all of the computing on-board and used an integrated camera array for positional tracking. The post HTC to Offer Wireless Vive Upgrade Kit, Pre-orders Start Friday appeared first on Road to VR.